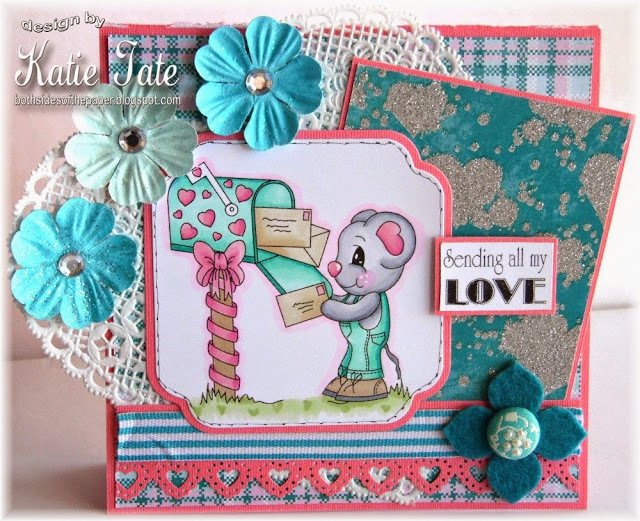 Once again, there were so many wonderful entries for the February challenge - I am still amazed at the number of people using their patterned paper ... please keep doing so ... and spread the word about this challenge blog. 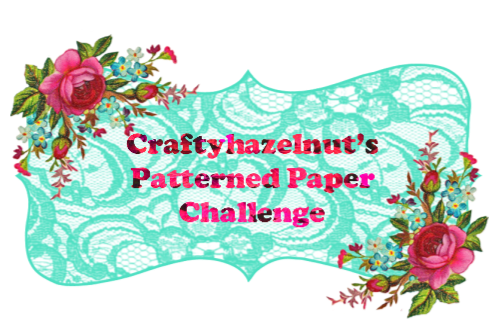 Please scroll down or click here to see the winner of Craftyhazelnut's Patterned Paper January challenge. 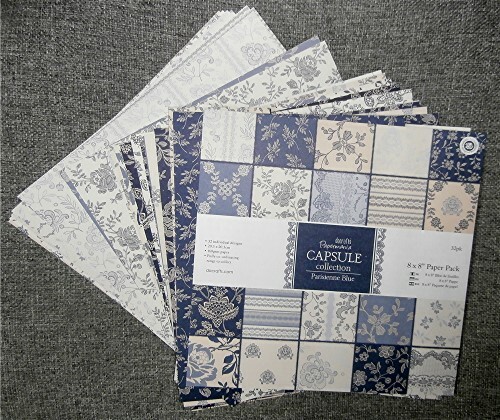 So, for my card I used a variety of papers from the pack of Docrafts Papermania Capsule Collection Parisienne Blue with some matching washi tapes, an accordion flower with button and a birthday sentiment. 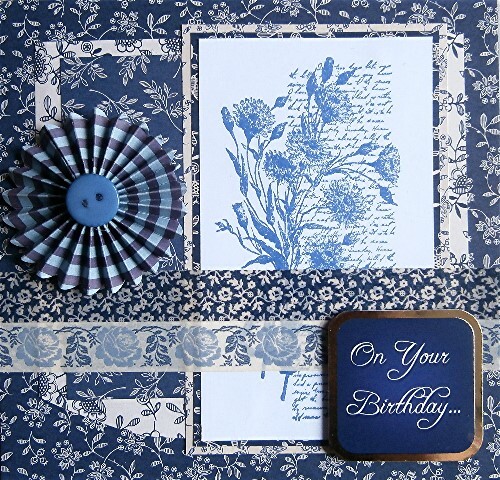 The stamped image is one of my favourite Penny Black stamps 'letters and flowers' inked with memento Paris dusk. More details here on My Crafty Outlook, including the sketch that I followed. February's challenge will end at 20:00 UK time 28 February. 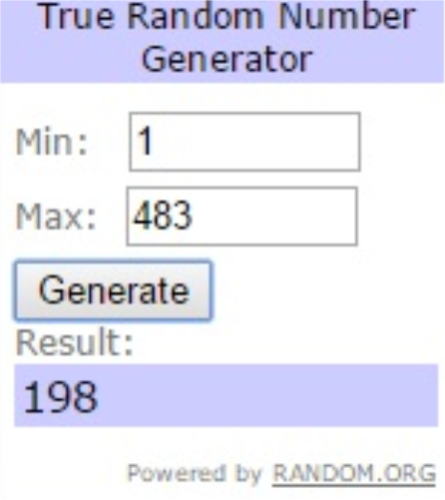 The randomly chosen winner will be announced at 23:00 UK time on 328 February and a new challenge will start at midnight on 1 March 2015.